We are a member of the Better Business Bureau of Eastern North Carolina and local chamber of commerence. We are licensed, insured and certified contractors for Wolman, Flood and Penofin deck restoration products as well as qualified applicators for Perma-Chink Systems, a nationwide supplier of log home maintenance products. We use only contractor grade, environmentally friendly cleaning compounds, sealers and finishes as opposed to store bought bleaches and detergents. TASKMASTERS will schedule our restoration and cleaning services to accommodate your needs and to avoid business interruptions. Adhering to strict safety guidelines and regulations, we conform to all city, county and state ordinances and have all necessary OSHA approved safety equipment. Oil stains are generally linseed or paraffin based oils. Some linseed oil stains can be film forming having the same characteristics as latex stains. They can peel and blister and show lap marks and traffic patterns. They tend to be the big box store products aimed at the do-it-yourselfer and generally last around a year then begin to darken, peel and blister. They offer some Hilton Head home protection, but are hard to maintain and usually require recoats as often as within six months to keep the wood looking fresh. Because of the film, most cannot be recoated (because of penetrating issues) and require chemical stripping to prep the wood for a new coat. Linseed oil stains feed mildew. Being a vegetable based product the mildew actually grows on the organic fillers in the oil causing the mildew to spread. They are widely used but do not perform well enough to be applied to an expensive Hilton Head log home. Parifinic oil based stains are true penetrating stains and are not "film forming". The oil is of a thinner consistency than linseed oil and therefore absorbs deeper into the grain of the wood. Depending on the age and condition of the wood, the absorption rate per square foot can as much as double compared to linseed oils. Being petroleum based, it does not feed or attract mildew, although this is not to say that mildew will not be found. In Hilton Head, mildew can appear most anywhere. But it is more resistant than linseed oil which actually feeds the mildew. Exterior house painting can make your home look great. You can change the color of your Hilton Head home, decks, shutters and trim to really make it "pop". You can personalize it by adding as much detail as you like, but appearance is not everything. Painting your home is first about protection. And the best protection comes with the correct application of the paint. But, before there can be proper paint application, there has to be proper Hilton Head paint preparation. Finding the right contractor for your home improvement is probably the single most important part of wood restoration. Not only do you need to find a reliable professional who stands behind his or her work, but you need to find the right contractor for your home improvement project. You need to be able to talk with this contractor about important decisions. You need to be able to ask questions and understand the answers you are given. When asked for decisions you need to be confident that you understand the question and all of the options before you make a decision. It is unfortunate that there are scam artists posing as contractors who try to take advantage of people. This can give the whole profession a bad reputation. Fortunately, most contractors are honest people who want to do good work on every job and finish a project with a happy customer. Part of hiring a contractor is finding someone competent and qualified. But another part of choosing the right contractor is just being comfortable and confident talking with him or her. 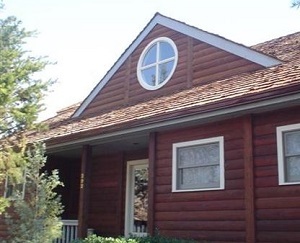 If you're looking for a professional log home restoration contractor in Hilton Head, then give us a call 252-266-9457 or complete our online request form.